Prominent & Leading Manufacturer from Ahmedabad, we offer electric hoist, wire hoist, monorail hoist, portable hoist, remote control hoist and trolley hoist. Outfitted with a modern infrastructure, we are the most well-known manufacturer and supplier of a wide array of Portable Hoist. Precisely engineered using optimum quality raw materials and advanced technology, these hoists are ideally used for construction purposes. In tune with different requirements of our copious clients, we offer the entire range in various types like pendent control type and radio remote control type. 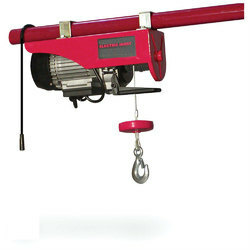 This Portable Hoist is strictly tested on various quality parameters assuring its flawlessness at userâ€™s end. 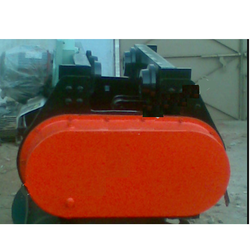 Ganesh Engineering Co. is a reputed name in the field of manufacturing, supplying and exporting Portable Hoist. 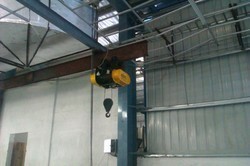 Understanding the requirements of the customers, we are engaged in manufacturing and supplying Remote Control Hoist. 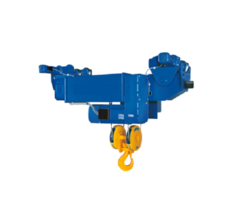 These hoists are manufactured by using superior quality material by following the set guidelines of the industry. 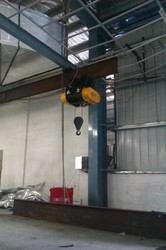 We also offer the customized range of our hoists so as to fulfill the needs in the best possible manner. Suitable used in construction and engineering industries, this Remote Control Hoist is quality tested before final delivery.